Massachusetts Rule of Criminal Procedure 14 mandates that the district attorney surrender to the defense virtually everything in its custody or control that is at all relevant to the case. The rule lays out some specific items that fall within its purview however case law is clear that the list is not exhaustive. The list includes statements made by the accused whether or not those statements were recorded. Grand jury minutes and statements of witnesses must be provided. A list of civilian witnesses, law enforcement personnel and expert witnesses must be surrendered. All documents generated and evidence obtained must be given to the defense in a timely manner. Identification procedures must be disclosed. All promises or inducements made to witnesses need to be articulated to the defense as well. Finally, there is a catchall phrase that “any facts of an exculpatory nature” have to be turned over. When prosecutors fail to turn over discovery in criminal cases there can be consequences, some of which are explored below. During the pretrial process there are proceedings at which discovery must be provided. Usually a defendant is provided with a complaint and a police report at his arraignment. A pretrial hearing or conference is typically scheduled thirty days later. At that proceeding the prosecutor is supposed to provide all materials identified in Rule 14. That doesn’t always happen however. Sometimes the materials have not yet been produced. For instance, drug analysis or expert witness reports can take months to generate. Judges are aware of this and will reasonably accommodate the district attorney. When the delays become excessive the judge will often tell the prosecutor to find out when the discovery materials will be available to the defense. The prosecutor’s response to the judge’s order of inquiry can become binding on the office of the district attorney. For example, a local defense lawyer recently defended a drug case in a fairly busy district court. The drug certification took over a year to be produced. The production of other discovery materials such as a 911 tape, the drug analysis packet and some cell phone records were delayed for nearly another year. The judge in this case was extremely patient with the district attorneys. She even went so far as to warn the assistant district attorney that if the materials were not turned over within another sixty days the case would be dismissed. The sixty days came and the discovery material still had not been produced. The judge’s response was a dismissal of the case as had been discussed earlier. 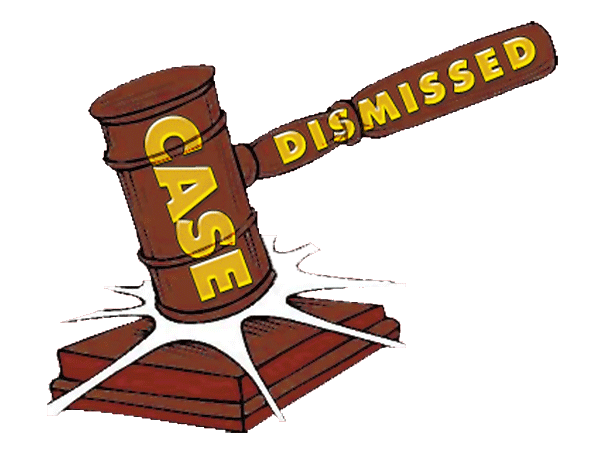 What Does it Take to Get a Judge to Dismiss a Case Based on a Violation of a Discovery Order? The law in this area is pretty clear. An appeals court reviewing a dismissal of a case based on a discovery violation uses an abuse of discretion standard. Massachusetts law states that willful, deliberate and repeated failures to comply with discovery orders are grounds for dismissal of the case. Unnecessary delays prejudice defendants. They can make adequately defending the case impossible. Judges will always give the prosecutors an opportunity, and at times many opportunities to comply with their obligations. But there comes a time when excuses have no validity and dismissal is the best and only appropriate sanction. The Law Offices of Stephen Neyman has secured dismissals for discovery violations in countless Massachusetts courts. Call us at 617-263-6800 or send us an email if you have a criminal case you want us to defend. We can help you.